This page is a record of the "Celebration of Jackie's Life. " The main things are numbered...some quality lost because of Internet restraints. save for future viewing. If you choose save you need to choose a folder to save to. 1. An audio Eulogy spoken by our son in law (our Christa's husband) Jeffrey Knight. Also for those who prefer to read here is Microsoft Word 2003 Document format. that was shown at the Celebration of Jackie's life. 3. Richard Knight Read the Scripture that Jackie chose herself. 5. Open mike A few people shared. 7. Jackie's favorite Song ending the the Funeral/Celebration. Honored Jackie by this on their site. 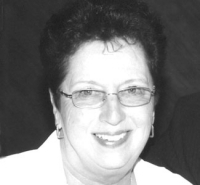 With the passing of Jackie Langley, the University of Victoria and CUPE 951 has lost a kind and devoted friend. Jackie touched many through her work in UVic Accounting and Pension Services and was also very involved in CUPE prior to moving to a position in the PEA. As a CUPE member Jackie volunteered many hours and was very influential at representing the rights of support staff workers on the first Joint Job Evaluation Committee which designed and tested the JE Questionnaire in the mid 90s, leading eventually to both internal equity and pay equity for CUPE 951 members. Early days of hopefulness using Stem Cell transtplant. The stem cells were later put back after chemo therapy. All this at Vancouver General Hostpital. in their efforts . I thank them all.